Like many parents I was concerned that my son wasn’t getting enough sleep while he was away at sleep-away camp. As it turns out, it was my wife’s lack of sleep that posed a bigger concern. Each night beginning around 11:30 she would sit anxiously in front of the computer screen scanning each new photograph as it was uploaded from the camp. It was a slow process that lasted well into the wee hours. On the slim chance that she caught a glimpse of our son in one of the photos, the analysis would begin. Was he wearing the same t-shirt that he was wearing in the photo two days ago? Did he misplace his glasses since he wasn’t wearing them? Did he look sunburned? Did he make new friends since he was posing in the photo with the same friend from last time? Was he showering? Was he brushing his teeth? Was he having fun? This new parental anxiety is thanks to the advanced technology now available to sleep-away summer camps. In the “olden days” (more than five years ago), parents had to wait until junior returned home to see photos from his camp experience. Now, summer camps have invested in a few digital cameras and an Internet connection so there’s simply no excuse not to post the daily collection of photos. But is it healthy? After all, just because the technology is available doesn’t mean it has to be used. Evidence that this has become a national trend among sleep-away camp parents (many day camps post daily photos too) came in the form of a popular animation video this summer. The video, which was created on xtranormal.com and posted to YouTube, mocked the “helicopter parent” who is addicted to scanning the camp website for photos of her child. 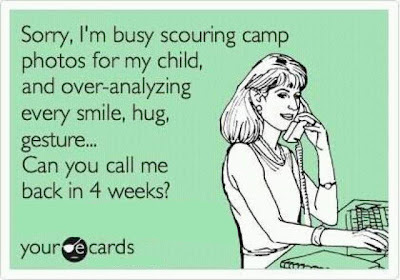 Many parents with children at Jewish sleep-away camp found it funny and relatable. In the video (below), two cartoon animals portraying mothers are discussing summer camp. It is obvious that the character whose son is away at sleep away camp is Jewish and the character unfamiliar with the culture is not. The Jewish character keeps saying “refresh” until the other character finally asks why she repeats that word uncontrollably. 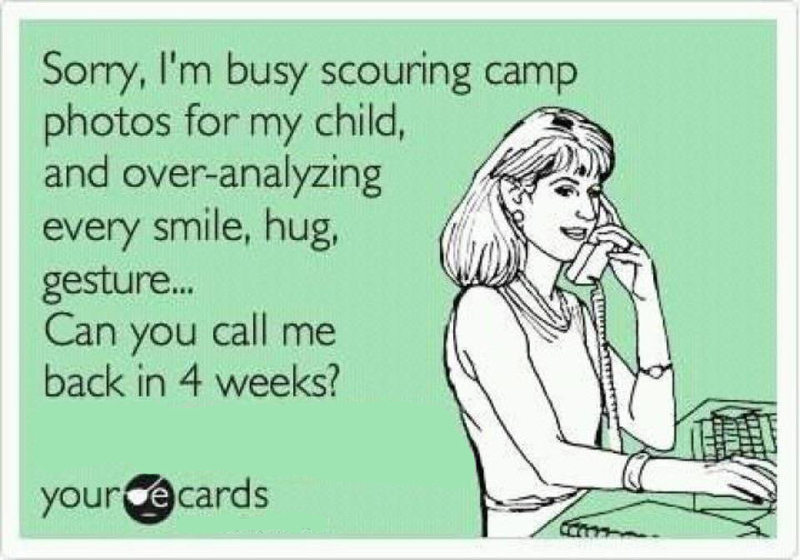 She explains that it is because she spends many hours late at night refreshing the summer camp’s website to see if a photo of her son has been uploaded. The other character finds it odd that she has just spent a large amount of money to send her son away for a few weeks during the summer only to neurotically check the camp’s website each night to catch a glimpse of her son. It’s no accident that the online posting of summer camp photos each day has become de rigueur for Jewish sleep-away camps across the nation. A man named Ari Ackerman made sure of it. When Ackerman was in graduate school, he wrote the business plan for Bunk1. He thought of it as a “one-way window into the camp world” so parents would be able to get a taste of what their children were experiencing while away from home for a few weeks each summer. From fewer than 100 camps a decade ago, Ackerman’s Bunk1 now boasts over 1,000 camps that utilize his web application to showcase a couple hundred random photos each night. One sleep-away camp staff member who fielded calls from parents this summer recounted that most of the urgent inquiries from parents were prompted by the online photos. Neurotic parents wanted to know why their children were never in the photos (“my child’s friend is in every photo”), why they were never in photos at the beach, why they were wearing someone else’s clothes, and why they weren’t wearing a hat when it was very sunny out. It seems these online photos, while posted with the best intentions, have caused more concern for parents. Camp was once a safe place where kids didn’t have to worry about their parents watching them. They were free to just grow and enjoy themselves. The new technology, however, changes that. For some parents, just recognizing the back of their child’s head in a photo is reassuring that at least he’s not in the clinic. However, parents survived for many generations not seeing current photos of their children at summer camp. Just because the technology is now available for camps to post these photos doesn’t mean they should feel compelled to do so. After all, there are many other technologies that camps can utilize but have decided that it’s not healthy. The online camp photo phenomenon is a wonderful example of what happens when new technology changes the equilibrium. Camps should wait until the end of a session to post the photos. Parents will get a lot more sleep that way. A version of this appeared in the Detroit Jewish News. Cross-posted to The Jewish Techs blog at The Jewish Week. You make your wife seem neurotic :).